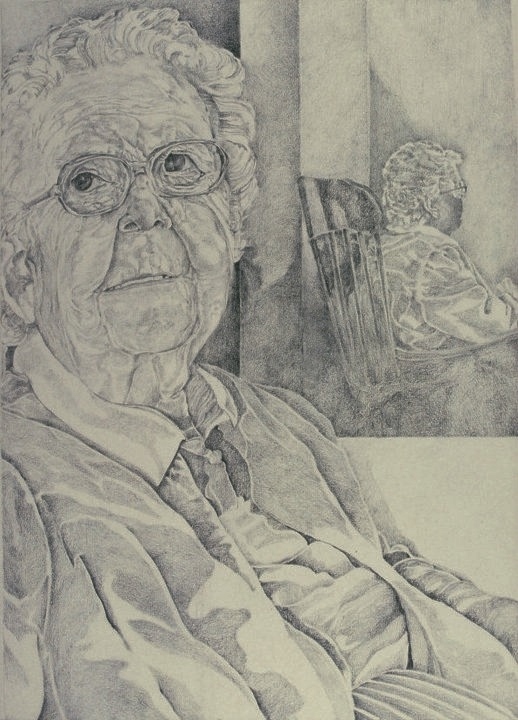 This is another drawing of my piano teacher Hazel. It was a three drawing series of her that was part of an exhibition based on the theme of reflection. Here, she really fills the picture plane. I see the folds of her clothing bearing a similarity to the folds of her face. It reminds me of what a dear friend she was. Even though for most of our relationship I was a girl, age didn’t matter with us. I could turn to her for anything. She understood me and I her. You are currently reading Reflection of Hazel at Dr. Mary McNaughton and Drawing.